While visiting Nome, Alaska, I met the local public librarian and school teachers from around the state. Most anywhere you go in Alaska, you have to get there by plane, which offers you the unique perspective of realizing, or at least attempting to comprehend, the extreme vastness of the state. One moment may offer limitless mountaintops, craggy cliffs, and deep ravines. The next moment is far-reaching ice fields sprinkled with tiny evergreens and the occasional cabin along a frozen river. It is also quite a treat (and possibly a life-changing experience) to hike, float, or fly to one of the many iconic, unbelievably beautiful bright aqua glaciers in the area. I have been blessed to teach students from one of the most diverse neighborhoods in the world, Mountain View, Alaska, a colorful collection of fascinating families from around the globe. The languages in my classroom consist of Hmong, Tongan, Samoan, Spanish, Arabic, Filipino, several African and Native Alaskan languages, American Sign Language, and of course our common language of English. They have introduced me to their traditions, food, dance, art, and way of life. One student invited me to his church where his traditional Filipino dance group would be performing after the mass. The homemade food, entertainment, and friendly people made this an evening to remember! Although you will and should pick up a few new words and phrases along the way, it is not necessary. I met a teacher in Galena, Alaska who told about her year-long teaching stint in Japan. She said she rode her bike for miles and miles in the weeks prior to leaving so that she could listen to Japanese language audio recordings in order to learn the language before she arrived. It seems a scary thing to know you must learn the language in order to communicate with your students, read road signs, and go grocery shopping. However, even though many Alaskans still speak their native language at home and many others are from various countries around the world, knowing or speaking a second language is not a requirement. I love how respectful and inclusive each community is about displaying cultural books and using the three major native languages spoken in Alaska. 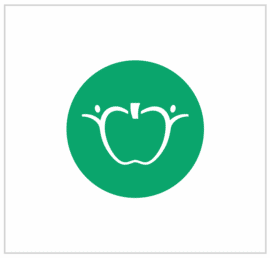 The average annual earnings of a secondary school teacher in Alaska is $85,420 and $73,050 for elementary school teachers! While one does have to keep in mind that the cost of living is higher, too, it is certainly a comfortable, livable wage. I now have room to breathe, pay my son’s college tuition, and treat myself to a good meal now and then. This amazingly delicious meal of pulled pork tacos and small-batch brewed beer is from The Back Porch Food Truck and Girdwood Brewing Company.. Everywhere I go in the state, I meet teachers who moved here from the Lower 48 thinking they would just be here for a year, but end up never leaving. Just this week I met a teacher in Unalakleet who taught for three years on St. Lawrence Island, an island in the Bering Sea with a population of around 700 people and with temperatures ranging from 1 degree fahrenheit in the winter to 50 degrees farenheit in the summer. She showed me pictures of the sea delicacies she tasted with her new Yup’ik friends, one of these delicacies had to be eaten alive, as it was only good that way (I’m an adventurous eater, but this one is a bit extreme for me). One teacher in my school lived and taught in Nome for six years, and another taught for a year in a school twenty miles outside of Aniak, Alaska, an extremely remote area of the state. I’ve heard stories of bears wandering through school parking lots and of the school cafeteria feeding the local community as there are no restaurants in many of these remote villages. I spent an afternoon visiting with the librarian in Nome and just fell in love with the space and the number of books about Alaska cultures. There are around 1,000 moose who make their home inside the Anchorage Bowl year-round. You may catch a glimpse of one as you land at the airport, while biking in Earthquake Park, or simply munching on a willow shrub in your neighbor’s yard. Last summer, a bear was spotted getting in our neighbors’ boat across the lake from us, but when the bear discovered there were no fish in the bottom of the boat, he lumbered on down through the neighborhood and eventually left the crowded area. There’s a drove of Dall sheep that live along the mountainside on the Seward Highway and a convocation of eagles in Seward. You never know where you might catch a glimpse of a great grey owl or an arctic fox. This photo was taken in Seward the evening before I went on a fishing excursion with my dad and two friends. I could not believe the breathtaking views as we drove around the small fishing town. In the summer there is hiking, biking, blueberry picking, fishing, and festivals. In the winter you can enjoy snow machining (I know, you say snow mobile, but in Alaska they say snow machine), snow shoeing, cross-country skiing, downhill skiing, fat tire biking, dog mushing, and hunting. My husband told me for months leading up to the winter that it was going to be his job to keep me busy during the winter so I did not feel the effects of the cold and darkness, but instead take advantage of the wintery fun. He sure lived up to his promise! I have learned to cross-country ski, take hikes with my new snow shoes, walk to our favorite restaurants, hang out by a cozy fire, and go on an epic journey following the Iditarod Trail via airplane to watch the sled dog racers mush from checkpoint to checkpoint. Great locally made coffee, art, jewelry, clothing, body products, books, music, salmon and more! I think this entrepreneurial spirit must stem from the fact that for many Alaskans, subsistence activities such as hunting, fishing, quilting and making those beautiful, luxurious coats and warm mukluks are not only a way of life, but a necessity. Everything has to be shipped up or flown in, so anything Alaskans can make themselves from natural resources, the better! Homemade blueberry jam, handmade pottery and jewelry, sea glass art, native folktales, fur hats, beaded gloves, salmon, halibut, king crab, and moose are all so abundant you will hardly miss your state’s local food and products! There are some great coffee roasters in Alaska these days: Kaladi Brothers and SteamDot are hot, but our fave is Chugiak Cafe in Eagle River. There’s an old tale about a Native Alaskan asking a newcomer where he was from and when the newcomer responded, “Chicago,” the native man said, “Oh, Cheechako” and from there on any one from “outside”, or hasn’t lived in the state long enough to be called a sourdough, is known as a cheechako. However, once you’ve lived through an Alaskan winter, you earn the right to be called a sourdough, just like the old time miners who came during the gold rush days and carried starter in their backpacks so they could make bread without having to find yeast. 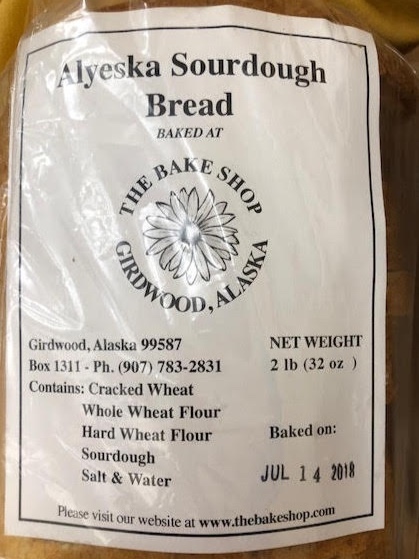 The best sourdough bread in the state is at The Bake Shop in Girdwood! I keep hearing the phrase, “Alaska is for real,” around here -- and they ain’t lying. This is one amazing state that has much to offer. If you are feeling the call to be adventurous, give a year of your life and talents to the children of diverse cultures and learn and grow in myriad ways you never knew possible, then teaching in Alaska might just be for you. Alaskan Author Kristin Hannah also acknowledged that, “Alaska isn’t about who you were before you headed this way. It’s about who you become,” and I believe I’m becoming a better teacher, a stronger believer, a deeper thinker, and a more fully aware human being. My time teaching in Alaska has definitely been life-changing! Looking for more resources and wondering where to begin? Start here with Alaska Teacher Placement for more detailed information, then check out Teach.com, which offers some great info on their Become a Teacher in Alaska page. Thinking seriously about taking this chilly plunge? 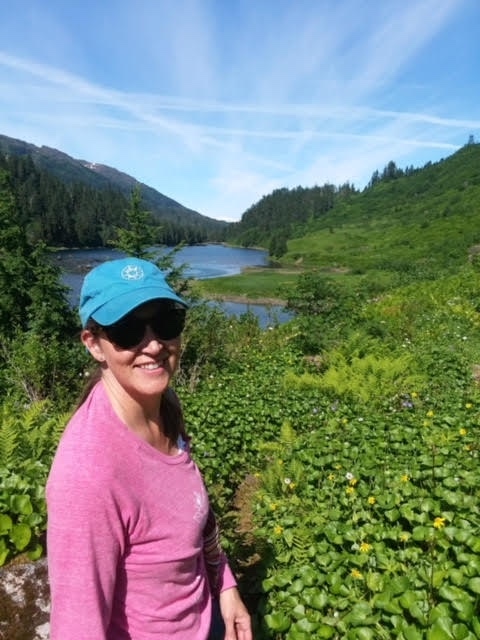 Angela Watson, who hosts Truth for Teachers podcast, has an article entitled What’s It Like to Teach in a Remote Village in Alaska? you’ll find quite insightful. Now you’re totally convinced? Ultimate Female Packing List for Teaching in the Bush is your next must read. It will certainly fill your need for adventure, the unusual, and fall under “life-changing” events for sure!